On a recent trip to the City of Oakland’s Business Licensing Office I was told that there are no licensed or permitted commercial cannabis cultivation operations in the City of Oakland. I was told that the City was perfecting their regulations and would be issuing applications for permits shortly. This was interesting because I am personally aware of several locations where large scale commercial cannabis cultivation operations are currently in business in the City of Oakland. Out of curiosity I inquired about one such address. I was told that there is no current business license at that address and that the last licensed operation was in 2013 when the property was a bakery. I then inquired about the operators of the business and was informed that they have no business license in the City of Oakland. Perhaps the most disturbing aspect is that one faction of the City government is aware and complacent with these operators of the unlicensed and unpermitted businesses. Documents produced in response to Public Record Requests show that, at least since 2015, Gregory Minor, Assistant to the City Administrator, has been in contact and supported these unlicensed businesses. In March 2016, Minor was asked by Councilmember Brooks to provide a list of cannabis businesses that had taken out business licenses and were voluntarily paying business taxes, a list he did provide. In June of 2016, Minor exchanged several e-mails with the operators and toured the previously referred to unlicensed, unpermitted cultivation facility. Minor cannot claim that he did not know the facility was unlicensed because he had prepared the list for Brooks shortly before the tour. There are also documents that suggest that Minor was discouraging inspectors from checking these illegal operations. On February 19, 2016, Minor wrote an e-mail which states “all non-retail cannabis businesses are completely below ground, yet we are proposing to going a step further than SF by bring all cannabis business into compliance with not just building and fire codes, but permitting requirements…”. Now well over a year has passed and nothing has changed. These illegal businesses continue to operate with Mr. Minor’s compliance and aid. How can a City official allow these “below ground” businesses to exist? Oakland’s City government has stated that they intend to allow new cannabis businesses in a manner to encourage diversity and allow Oakland residents a place in this industry. Allowing the existence of these large illegal business owned and operated by predominantly wealthy people who live outside of Oakland calls the City government’s stated goals into question. In a City that has recently suffered more than its share of tragedies from fires and scandals, can we continue to allow these uninspected, untaxed, illegal businesses to continue with inadequate fire protection, no environmental compliance, no permits virtually no regulation? 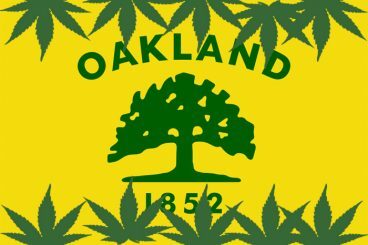 Be the first to comment on "City Of Oakland Allowing Unlicensed Commercial Cannabis Cultivation – Undrae Brooks"